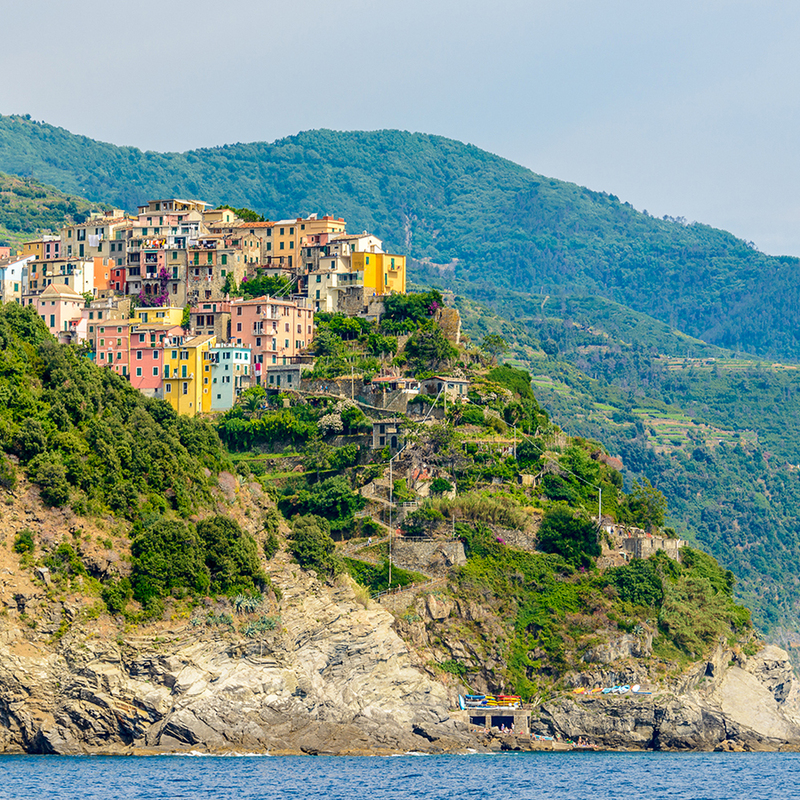 Along the coast from Porto Venere to Genoa, where the harsh landscape is broken up by small inlets, we come to the Cinque Terre (Five Lands), separated from the Ligurian Riviera by the promontory of Punta Mesco (between Monterosso and Levanto). 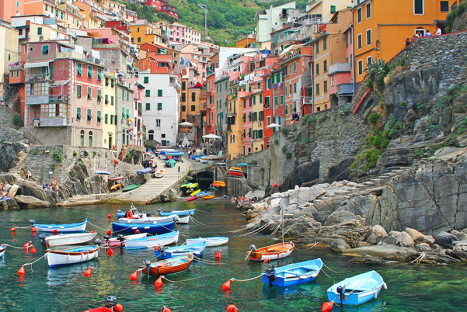 Riomaggiore, Manarola, cliff-top Corniglia, Vernazza and Monterosso are the five historic villages which sit one next the other in a landscape marked by steep paths, rows of vines, dry-stone walls. In Riomaggiore you can see the church of San Giovanni Battista (St. John the Baptist), built in 1340. 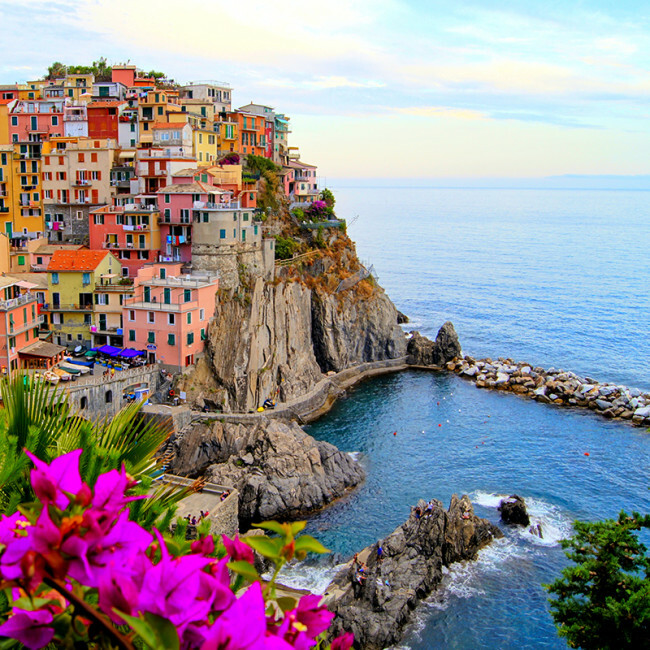 The Via dell’Amore (Lovers’ street) connects Riomaggiore to Manarola. 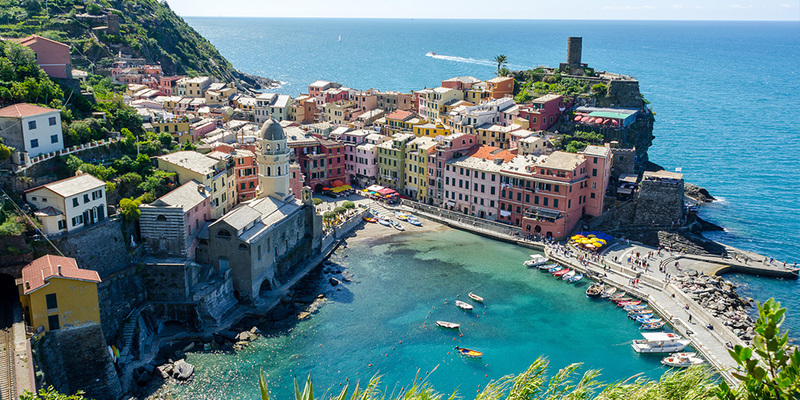 In Corniglia is located the church dedicated to San Pietro (St. Pieter), and in Vernazza the Santa Margherita d’Antiochia church, both built by the Antelami master builders. 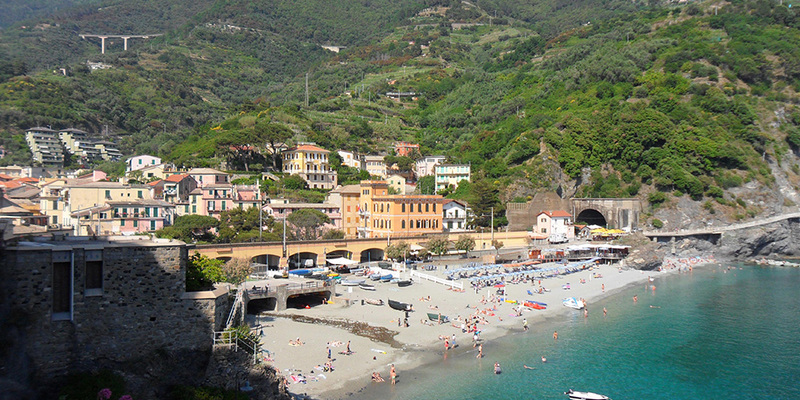 The village of Monterosso consists today of two distinct, separate sections: the complex of old buildings around the church dedicated to San Giovanni Battista (St. John the Baptist), and the modern village of Fegina. It is worth visiting the Convent of Capuchins. In the Fegina area we find the house of the Montale family. Inspired by his intense experience here, the Literary Park of the Cinque Terre was founded, and it promotes various initiatives.